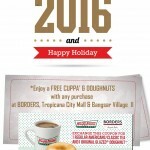 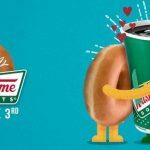 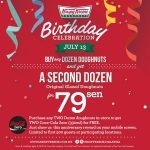 HomeFood & BeverageKrispy Kreme Doughnuts Offer 1 Dozen Original Glazed® Doughnuts Deal! 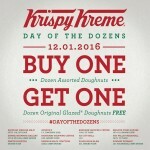 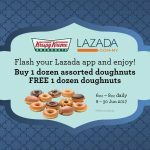 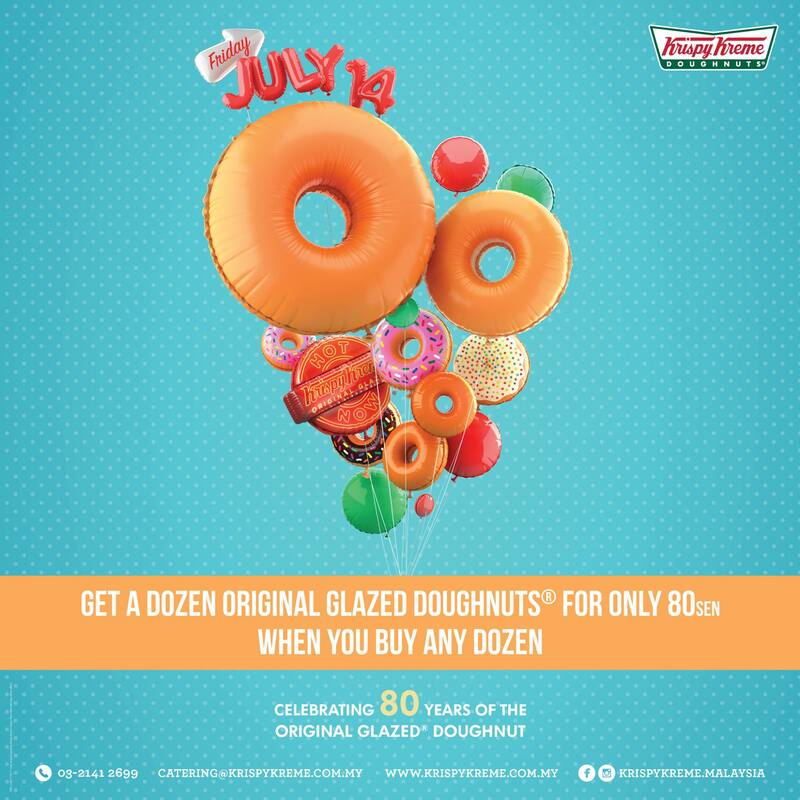 Krispy Kreme Doughnuts Malaysia offer 1 dozen Original Glazed® Doughnuts at only RM0.80! 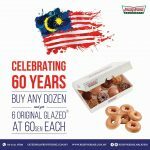 On 14 of July is Krispy Kreme Doughnuts 80th anniversary, and they are letting you get a dozen Original Glazed® Doughnuts for only 80sen when you buy any dozen.Terms & Conditions apply! 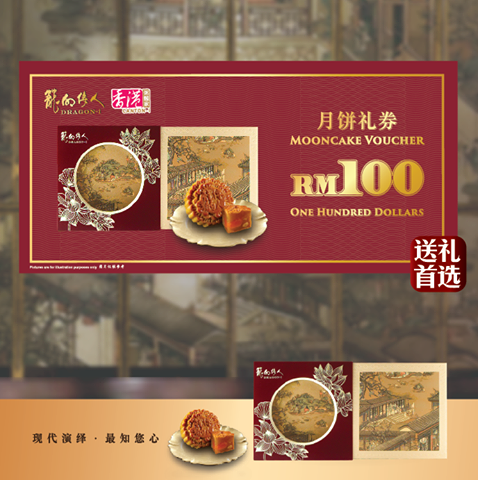 Dragon-i Offer Mooncake Voucher Promo! 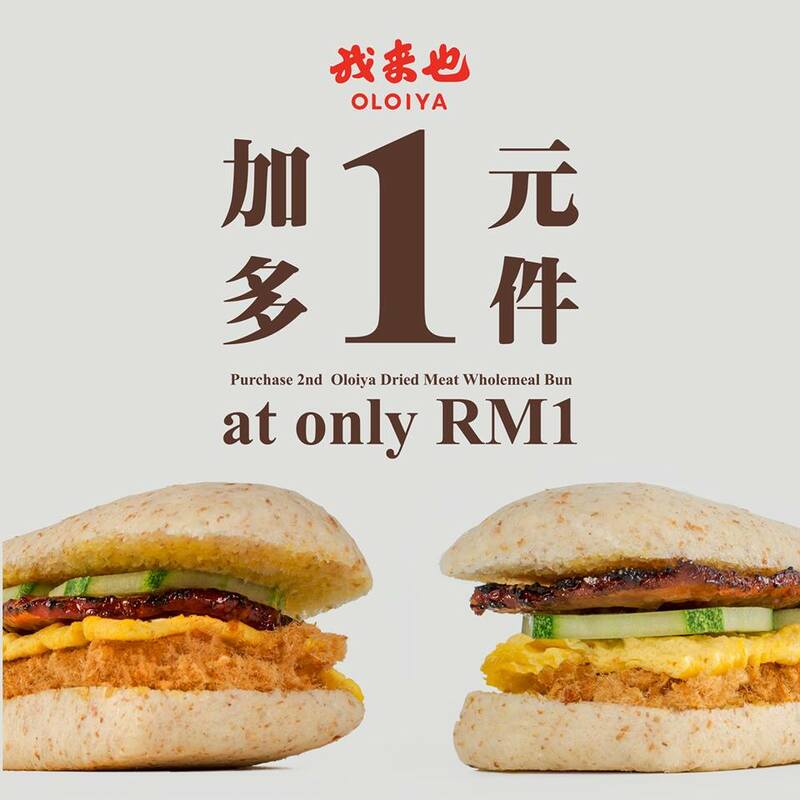 The New Oloiya Wholemeal Dried Meat Bun Promo!